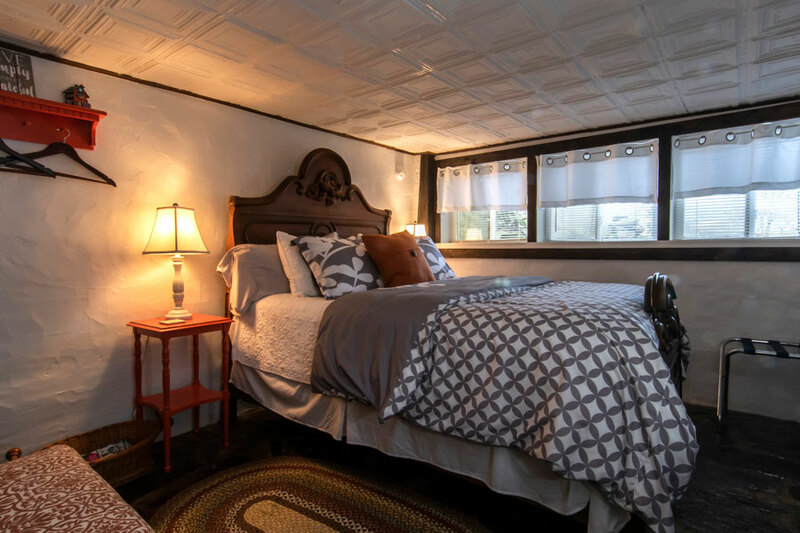 Tracks and Trails is a small basement floor room with a queen bed. Windows offer a close-up view of our busy bird feeder, as well as the pasture and the peaks of the Smokies beyond. 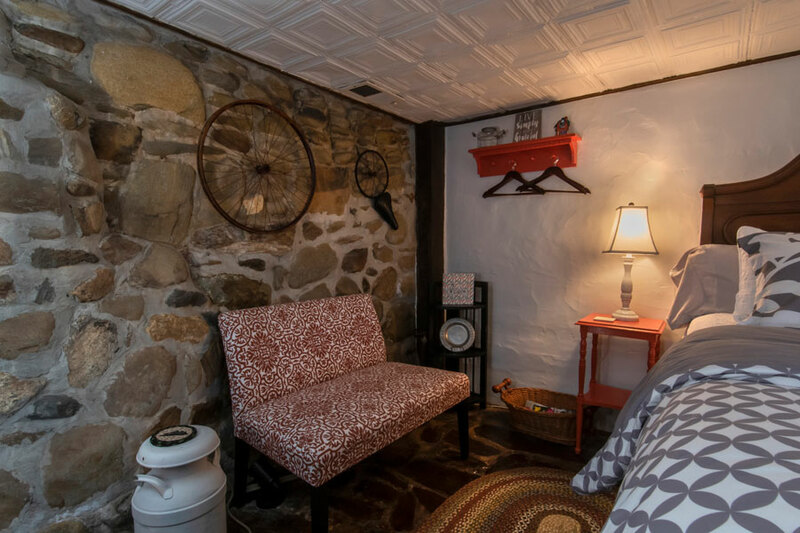 Like all the basement floor rooms, Tracks and Trails offers the old world charm of low, pressed-tin ceilings and flagstone floors. The room has lots of windows and the floor has both inside and outside access. Tracks and Trails is decorated with cycling paraphernalia and theme prints inspired by the nationally acclaimed Tsali bike trails just a few miles west of Bryson City. Hair dryer and herbal soap, shampoo, and Toni's home-made bath salts. 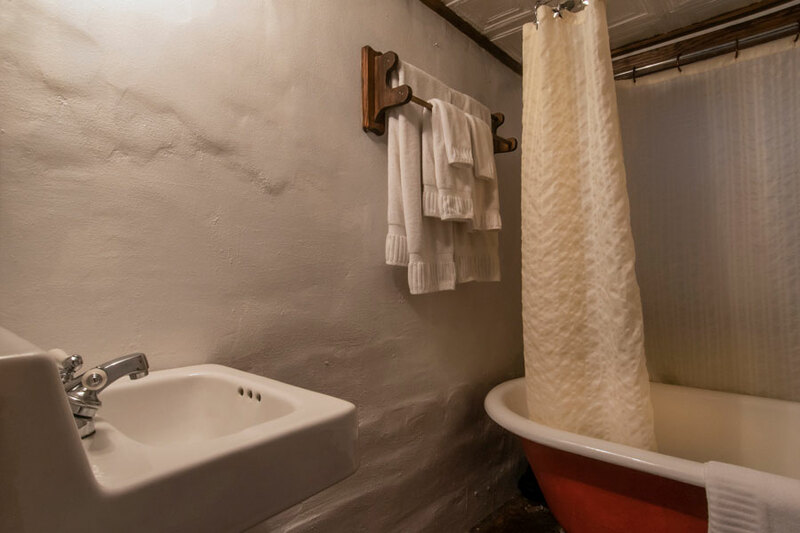 If you want good food, quiet, no fuss, relaxed, and an easy going place to stay that has vintage charm just in reach of the mountains and town, this is a place I would recommend.